GUILDERLAND – Colonie beat crosstown rival Shaker 57-47 in the Section II Class AA semifinals on Monday, Feb. 27. The No. 2 seed Colonie will not play the No. 4 seed Bethlehem for the title on Saturday, March 3, at Hudson Valley Community College. 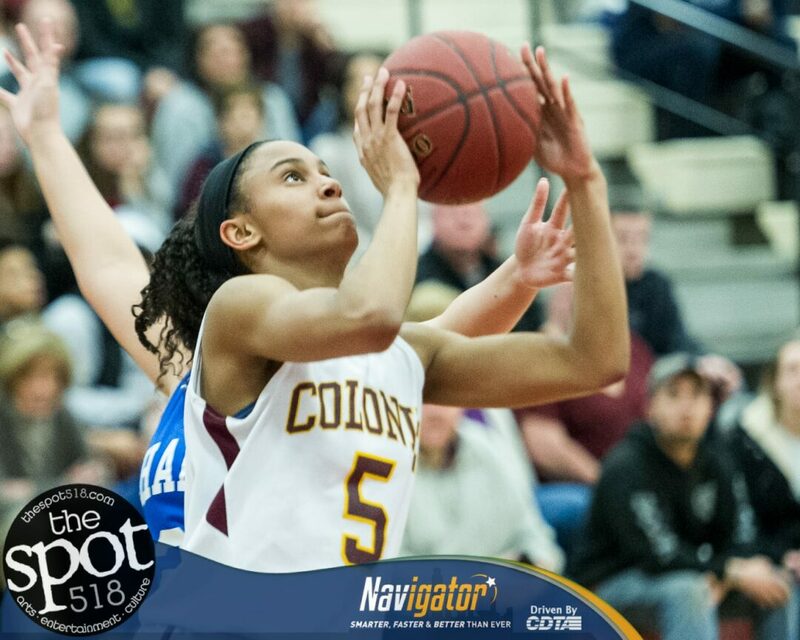 Colonie’s Erin Fouracre led all scorers with 16 points while Aliyah Wright had 14 and Kyara Triblet had 11. Alivia Paeglow and Sareena Dicerbo had six each and Makayla Blake had four to round out the scoring for Colonie. Julia DeBeatham had 14 to lead Shaker while Alexandra DeBeatham had 13 and Shyla Sanford had a dozen. Maddy Malicki and Hannah Malicki had five and three, respectively. The tip Saturday for the Colonie vs. Bethlehem game is slated for 2:30 p.m.